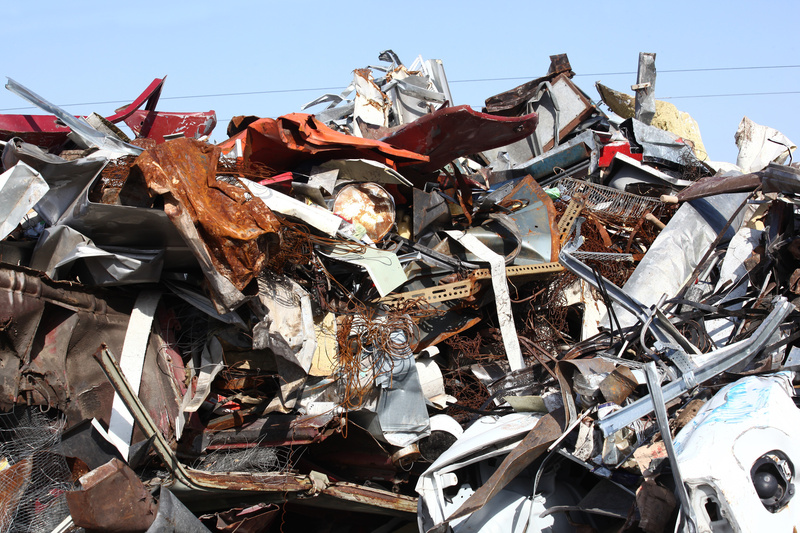 HomeBlogWhat Types of Materials Can Be Recycled in a Scrap Yard? Whether you’re the owner of a business that generates scrap metal or a private citizen who has unused equipment, appliances, or metal on their property that needs to be recycled, taking a load to your local scrap yard may be the solution. But before you call Belson Steel for pick up or drop off all of your scrap at one of our Illinois-based scrap yards, it’s important to review the list of things that you can and cannot recycle in a scrap yard. Just about any other metal or metal alloy you can think of! In addition to a large number of ferrous and nonferrous materials, we also will recycle electronic scrap materials like computers (only whole computers please), hard drives, floppy disks, power supplies, motherboards, routers, modems, cell phones, and more! We also take some random items like batteries, radiators, and electric motors. Our goal is to keep as much out of the landfill as possible! If you have a question about an item and aren’t sure whether or not we can recycle it, just bring it by or call us. We are happy to help in any way that we can. Most ferrous, nonferrous, and electronic scrap materials can be recycled at our scrap yard, although we do draw the line at any materials that could be hazardous to our employees. These materials include anything that contains asbestos, radioactive materials, explosive materials, and bio-hazardous materials. We also won’t take plastic-containing computer hardware, dishwashers, microwave ovens, and air conditioning units. You can view our full list online. If you have unused or dated items on your property that could be recycled, you should do so! Recycling is a great way to put cash in your pocket (we pay top dollar, in cash, for scrap). What’s more, recycling saves energy and reduces the use of natural resources. Recycling also creates jobs and allows the U.S. to remain competitive by generating its materials rather than importing from other countries. We can provide a container for your property and manage its transportation, or you can bring your scrap directly to our scrap yard. Call us directly with any questions you have at 815-932-7416 or send us a message at your convenience.